The Vu Baseball Team Went 1-3 In Action Over The Weekend. 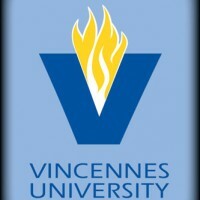 On Friday The Blazers Dropped Two Games To Illinois Central With 14-6 And 18-10 Losses To Illinois Central On Saturday, Vu Downed Illinois Central 3-2 And Then Lost 7-1 To The Host Cougars. The Vu Baseball Team Is Now 18-18 And Plays On Wednesday At Volunteer State. The Vu Golf Team Finished 11th In The Indiana Small College Championships Played Saturday And Sunday In French Lick. Vu Tied For 11th With A Two Day Total Of 654. Illinois Wesleyean Took First Place Honors With A 571. Top Finishers For Vu Was Matt Jordan Who Finished In Tie For 33rd. The Vu Golfers Play Again April 21st And 22nd In The Rend Lake Invite.